Extra wrap around material is provided so that you can attach your banner stand replacement graphic to the winder. Inner winders, DIY install, handy uses... to suit your orders preference. #1 How do I measure the graphic and tongue I need? Remove your current graphic and measure it. Then add the tongue area. 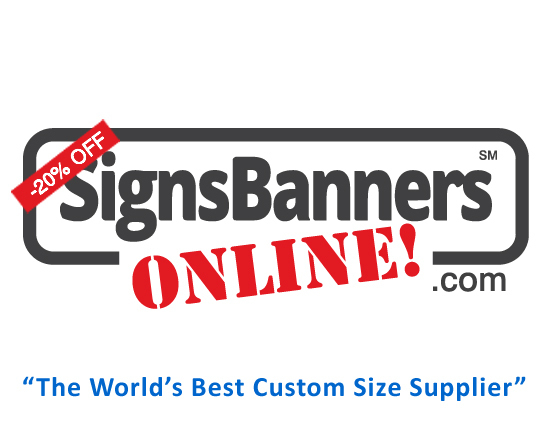 #2 Most banner stands need between 6 inches to 1 FT extra material to wrap around the winder. Choose BOTTOM TONGUE option and follow the instructions given to you by the Easy Template Maker. How do I fit the stand to the graphic? Attach to the banner stand winder. 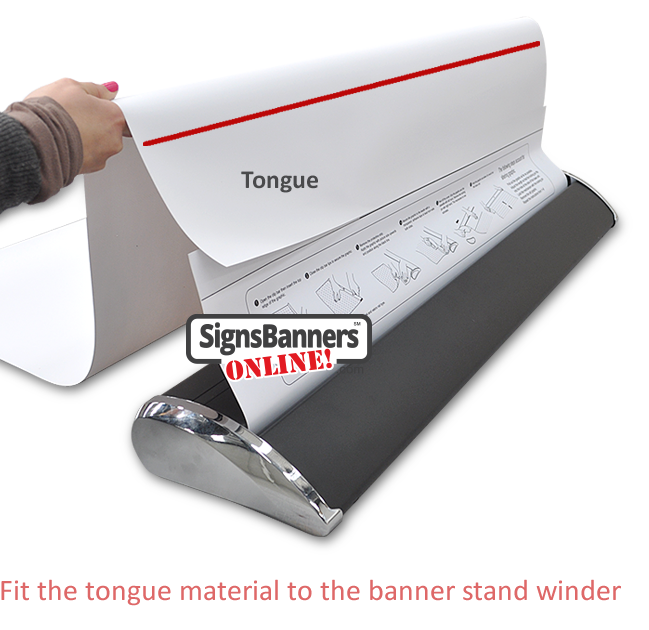 Use a double sided tape to fit the new graphic (tongue) to the winder of the banner stand. Then, use a packaging tape to seal the joint. Seal both front and back for smooth roller action that wont catch as it rolls in and out.